Manx Radio are once again extremely proud to be the media partner with another fabulous Douglas Council event! On Thursday 24th November 2016, Lower Ridgeway Street will be the setting for an evening of family entertainment. Compèred by Manx Radio, the evening starts at 6.15pm with seasonal music from Douglas Town Band, followed by a sneak preview at 6.25pm of The Wizard of Oz, this year’s pantomime at the Gaiety Theatre. Local singer Grace Lee, 11, will then sing and Letisha Ellis, also 11, will sign the Miley Cyrus number The Climb for the benefit of those with hearing difficulties, before impersonators from Isle of Characters give a performance inspired by some of the film world’s most recognisable Christmas and ‘winter wonderland’ fantasy figures and songs. 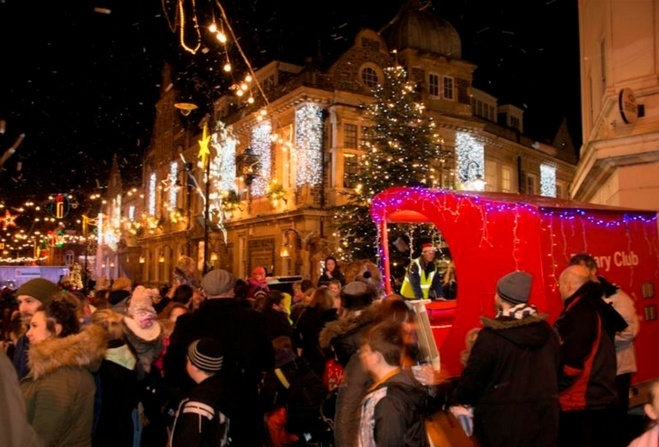 The festive season can then officially begin at 7pm, when the Christmas lights are switched on by His Worship the Mayor Councillor John Skinner JP. • Prospect Hill from Athol Street to Ridgeway Street from 12 noon until 12 midnight on Thursday November 24. To alleviate anticipated traffic issues Peveril Square will be open for the duration of the road closures. This is also the first evening of the Christmas late night shopping so make sure you set your whole evening aside to get into the Christmas spirit - we hope to see as many of you there as possible!